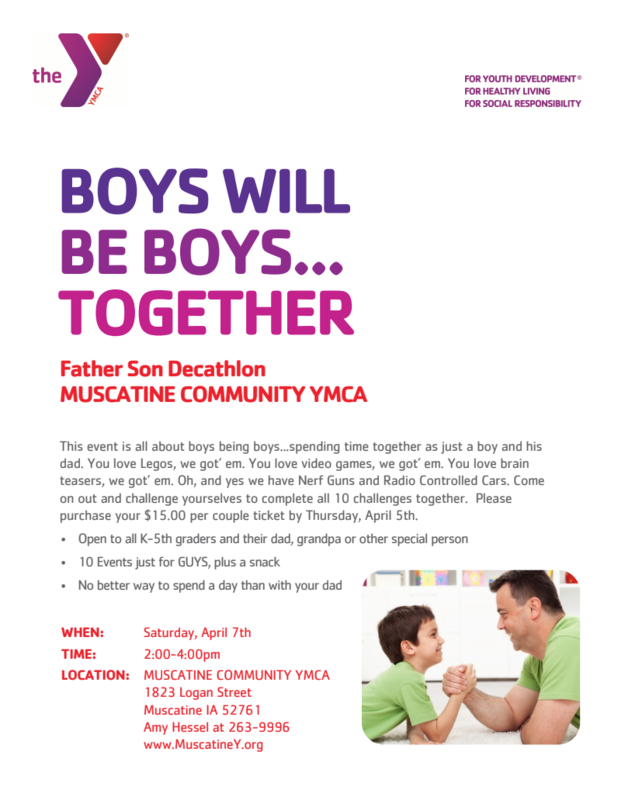 Description: The Father Son Decathlon is all about boys being boys…spending time together as just a boy and his dad. You love Legos, we got’ em. You love video games, we got’ em. You love brain teasers, we got’ em. Oh, and yes we have Nerf Guns and Radio Controlled Cars. Come on out and challenge yourselves to complete all 10 challenges together. Please purchase your $15.00 per couple ticket by Thursday, April 5th. Open to all K-5th graders and their dad, grandpa or other special person.